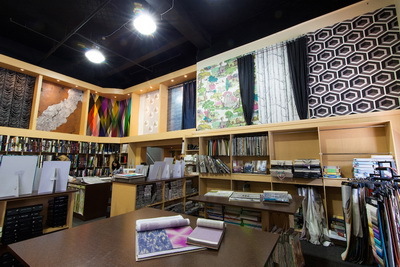 Empire Wallpaper has been the one-stop shop for all your interior decorating needs for the past 50 years. Whether you are looking for the newest design trends, some paint to fix up a room or blinds to decorate your windows, they have it all - with prices that can fit any budget. - Just bought your new dream home and would like to spiff it up with some trendy wallpaper? Come here to peruse over 1,000 catalogues of wallpaper. - Blinds and curtains? 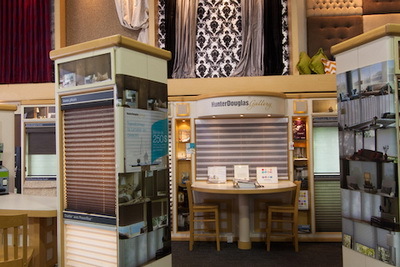 They have much to offer, as they are an official Hunter Douglas Centurion retailer. You can choose amongst wood, metal, pleats, duets, honeycomb or hundreds of other types of window treatment, with either manual or motorized control systems. - On a student budget? Want the style without the price tag? 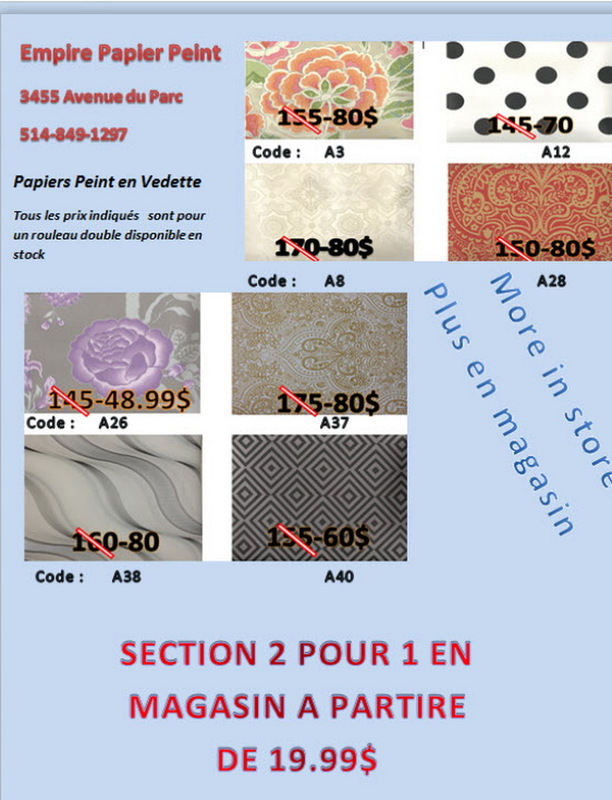 Take a look at their 2 for 1 wallpaper section with top brands as low as $9.99 per double roll. - Saw something you liked in a movie or TV series? Well look no further. Empire has been a proud supporter of the province's movie industry for the last 20 years. They have worked on many television series and with some of Montreal`s top designers, including Manon Leblanc, Marie-Christine Lavoie, Design VIP, La Maison Rouge, Canal Vie and even the X-men series (filmed right here in Montreal!). When you shop here enjoying the warm camaraderie only found in a family business, expect expert advice, a good laugh and, of course, your satisfaction guaranteed. So go join the Empire at 3455 Parc Avenue, and make your home your Empire.